Searching for the perfect new car, truck, or SUV? At Hibbing Chrysler Center in Hibbing, Minnesota, we’ve got a wide inventory of new vehicles to fit your lifestyle and budget. From the rugged capabilities of the Jeep Cherokee to the powerful performance of the Ram 1500, you’ll find what you’re looking for in our new model inventory. Then stop by our Hibbing, MN auto dealership for a test drive you’ll never forget. Visit us today to learn more about our new vehicle specials! 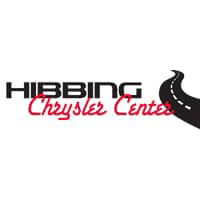 When you shop for your next vehicle at Hibbing Chrysler Center, you’ll love how easy it is to maximize your savings. For instance, you can check out our new vehicle specials for exciting deals and special offers on our most popular new cars. From there, you can see how affordable your monthly auto payment will be with our auto payment calculator. Finally, if you have a trade-in vehicle, you can get a free estimate at our value your trade-in page. Call our Hibbing, MN auto finance center to learn more about our model lease options, flexible auto loans, and other auto financing solutions that can help you save money. Whether you have good credit or if you qualify for bad credit or no credit financing, we can help you get into the ideal car for your budget. The friendly finance staff at our Hibbing, MN auto finance center has the finance tools and lending relationships to get you behind the wheel today. Call us at Hibbing Chrysler Center or fill out our secure auto finance application today.